Did you enrol your child in a playschool when he was young? How did you decide on which one to select? Do you think playschools contribute to a child' s development? Did you enrol your child in a playschool when he was young? How did you decide on which one to select? Do you think playschools contribute to a child' s development? Shreya replied. A good preschool should have a friendly atmosphere and be known for its nurturing environment and stimulating curriculum. Yes, Playschools play a vital role in child development while joining the child in playschool ask there curriculum because these play schools have to help to child to next level of education to know more info please visit our website. I was searching for a preschool in Alwarpet chennai and I was amazed when I visited Kinder Scholars. A preschool linked with a Church of England,UK School. They have such a amazing infrastructure and the lady Geetha who manage this school is trained in UK on school management program. I am going to send my son to Kinder Scholars. They have programs with UK children they chat with UK kids and send their work through internet and it is real fun for kids and international exposure. 6.Simply put - he enjoys himself there! I think it is very important to send children early to playschool not just for education but to help them interact with all kinds of people and kids - this gives them the edge to develop good people management skills and understand people better.It is an exposure to the world. Now let me come to the signs of a good playschool. It should be flexible for your child´ s needs. It should allow parents to inform about the specific likings , dislinkings of the young child so as to ensure that the young ones are accomodated well. Any confident and good playschool would always allow a free trial - where in parents satisfaction along with the child´ s adjustability can be tested.Luckily my kids school gave me a 2 day free trial and I was able to decide if it was time yet to leave my child in school or not. Each child is different and hence there will be different phases wherein the child would be comfortable in a place other than home. Parmeet replied. The main thing about playschools is the expense factor. Why should it cost so much just to teach your child the basics? Besides, it’s not very difficult to teach children alphabets and numbers. Also, where does it leave poor children who cannot afford to go to playschool? On the top of that I do not understand why people want their children to go to high-profile nurseries. I think children should be provided with a normal environment rather then luxurious environment for learning. Meeta replied. I do not really consider playschools to be necessary. If you are at home, then you should be able to see to your child' s education. Both my children never went to any playschools and they were able to manage quite well later on. I do not understand why people want to force their kids at a tender age. It is better to let them enter the life of academics when their body and mind are actually ready for it. It is necessary to give your child what they require at a right time. Hetal replied. My husband and I enrolled our son in playschool when he was two years old. The playschool we chose is very famous in our area. Since it is close to the house, we do not have to spend too much time in travelling. Everyday, the school lasts for two hours. They have many functions too. It is a great pleasure to get admission in such a good school. The teachers are very good and co-operative with parents for the overall development of the child. It is necessary to get your child admitted in a good nursery as it the beginning of child’s good future. I had my fair bit of experience in the education field so I knew how important preschool is in terms of child development. Ironically, what made it tough was perhaps knowing the factors that were non negotiable - child-teacher ratio, curriculum, development milestones of child being in sync with activities, holistic development of the child along with each child's learning capabilities being considered and tackled, good management, good and safe infrastructure, hygiene, proper nutrition. The search wasn't easy at all and we had to change a couple of preschools before finding Kangaroo Kids Kandivali East centre run by Ms. Kusum and Ms. Radhika. I am so proud to have been a part of the journey of the school when they took over the school to being among the best preschools in mumbai now. My child loved to go to preschool and same is the case with my younger one now. I can't express my gratitude in words for the care they have taken and for the way they have grown. Preschools are definitely the stepping stones of the blooming of child's personality. There is no doubt about it. This is my request that dont join your chidren in lyl genesis preschool & Daycare which is in HSR layout 6th sector. They are not giving good service to the children. No trained staff are there. They are not transparent and open door to the parents. They are cheating the parents by not giving the refundable Amounts. After withdrawing my child still they have not given my amount back. Like this they have not given to many parents. I dont know why parents are quite?. So parents please dont admit your child in LYL genesis. Very very worst preschool in HSR layout. From you experience, Can you please share any good play school near to HSR 7th Sector. Thank god I got a such a wonderfulschool for my son. Hi i saw post about kinder scholars i like to know about the fee structure there can u please let me know about that. The main thing about playschools is the expense factor. Why should it cost so much just to teach your child the basics? Besides, it’s not very difficult to teach children alphabets and numbers. Also, where does it leave poor children who cannot afford to go to playschool? On the top of that I do not understand why people want their children to go to high-profile nurseries. I think children should be provided with a normal environment rather then luxurious environment for learning. I do not really consider playschools to be necessary. If you are at home, then you should be able to see to your child' s education. Both my children never went to any playschools and they were able to manage quite well later on. I do not understand why people want to force their kids at a tender age. It is better to let them enter the life of academics when their body and mind are actually ready for it. It is necessary to give your child what they require at a right time. I agree with Meeta and Mr Parmeet. I dnt find the necessity of sending my child to play group. Today we have to enroll our child in school (nursery) at the age of just 2.5 yrs. But we dnt have option. Its the ir norms. BUt avoiding sending to school before this age is in our hands. Once started they have to go for next say20-22 yrs.Atleat we can give them the safe environment at home. My daughter has not gone for play scool. BUt she knows atleast 20 rhymes , 1-10, A-z, Her name and also address. I think even we can teachg then all this without any cost. Afterall mothers are the first teachers of a child. My husband and I enrolled our son in playschool when he was two years old. The playschool we chose is very famous in our area. Since it is close to the house, we do not have to spend too much time in travelling. Everyday, the school lasts for two hours. They have many functions too. It is a great pleasure to get admission in such a good school. The teachers are very good and co-operative with parents for the overall development of the child. 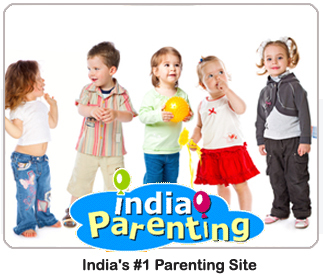 It is necessary to get your child admitted in a good nursery as it the beginning of child’s good future.